EU directive 2002/91/EC (The energy performance of buildings) requires that as of June 1st 2013 all properties coming onto the market for sale in the EU must have obtained an Energy Performance Certificate (EPC), properties already on the market must apply for an EPC within 1 week of this deadline, and have obtained the EPC within a further 3 weeks. 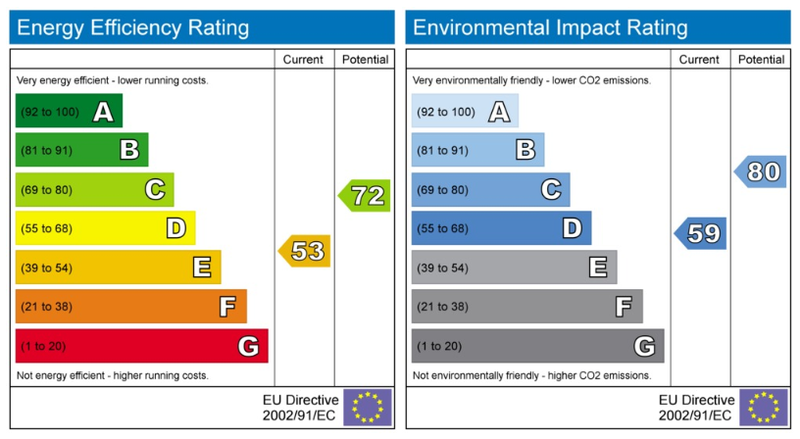 The Energy Performance Certificate (EPC) also known as Certificado de Eficiencia Energetica (CEE) in Spain is designed to give buyers an idea of how energy efficient the property is, a property scoring a higher energy efficiency will have lower ongoing bills for heating as well as lower carbon dioxide emissions. Properties are scored from A to G, A being very energy efficient and G being not energy efficient, with a further rating for the potential score if adequate measures are taken to improve the property. A standard graph has been designed to communicate these values clearly to buyers, much like food labels. These can be included on your website or print material relating to the property and makes it very easy for you to communicate this information to your buyers. A quick modification is needed to your website templates to enable automatic inclusion of the EPC Graphs on property details pages, please open a support ticket to request this update.